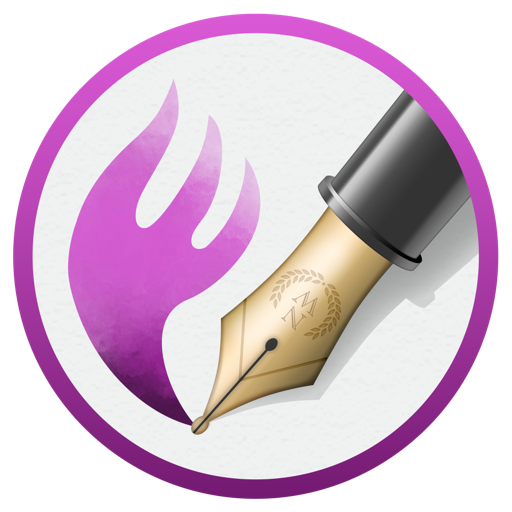 Nisus Writer Pro was built from the ground-up exclusively for the Mac, so it feels like home with support for macOS autosave, document versioning, and iCloud. Our streamlined interface keeps you focused on what matters most: your writing. 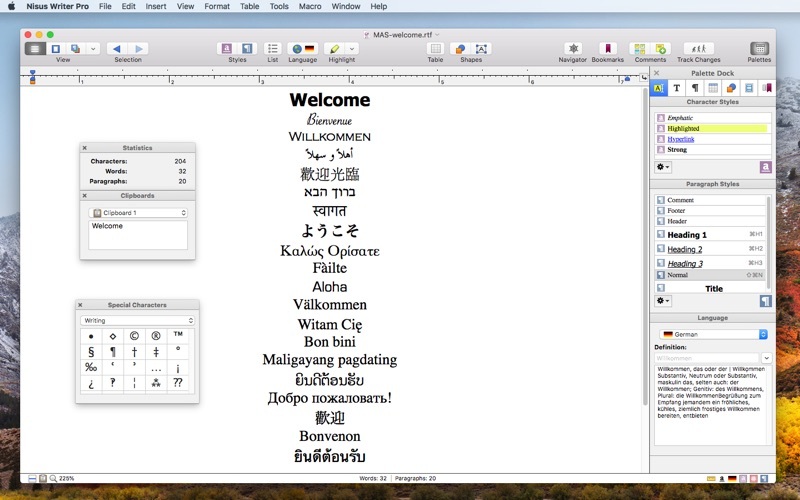 • Mac native and Retina ready, ensuring crisp text and sharp tools. • Escape to a distraction-free full screen mode. • Straightforward style sheets make formatting using styles easy. 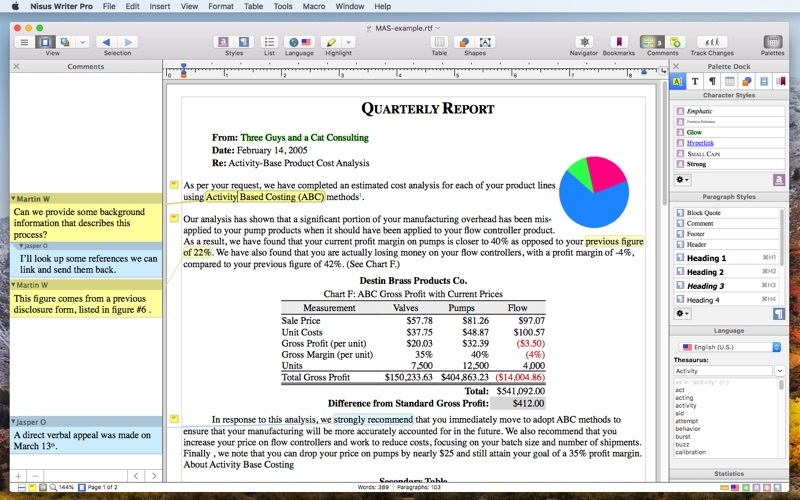 • Simultaneously edit different parts of a document using split view. Our native document file format, Rich Text Format (RTF), provides excellent compatibility with most other apps. • Collaborate using comments in threaded conversations. • Record tracked changes while editing and formatting text. • Open and save Microsoft Word files, among other popular formats. • Sync your documents and app settings using iCloud Drive or Dropbox. • PDF export that includes annotations, links, TOCs, and other advanced content. Our tools are endlessly customizable, or stay out of the way completely. You're in control. • Decide which palettes are seen, when, and where. • Add any command to the toolbar. • Add any command to your MacBook's Touch Bar. • Keyboard shortcuts are customizable for all menu commands. 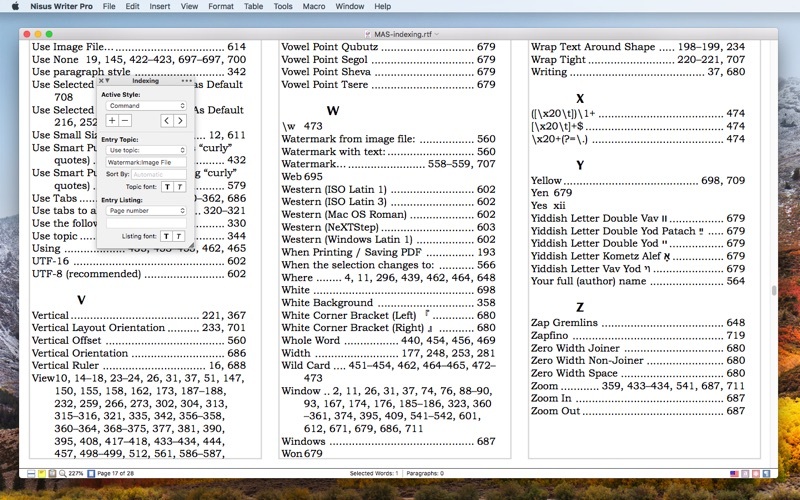 Features that run deep, honed by our decades of experience with text processing on the Mac. • Approachable find and replace. • Advanced search with full support for regular expressions (regex). 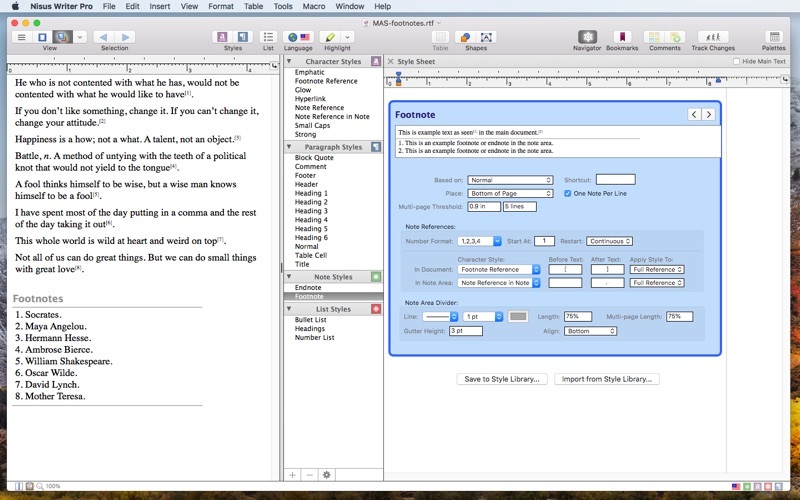 • Footnotes & endnotes with styles to control numbering and other aspects. 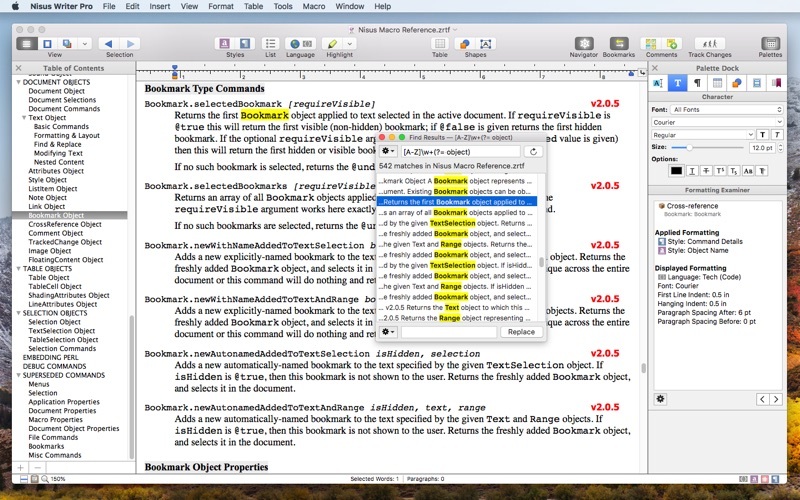 • Cross-reference and link text using bookmarks. • Generate a document Table of Contents (TOC) and indexing. • Drawing tools wrap text around images, text boxes, and other shapes. • Automate your workflows using extensive macros. Version 3.0.1 is a minor update that fixes several important bugs discovered since the release of the prior major version 3.0. • Editing the New File preferences could trigger crashes. - incorrectly enforce page breaks before every paragraph. 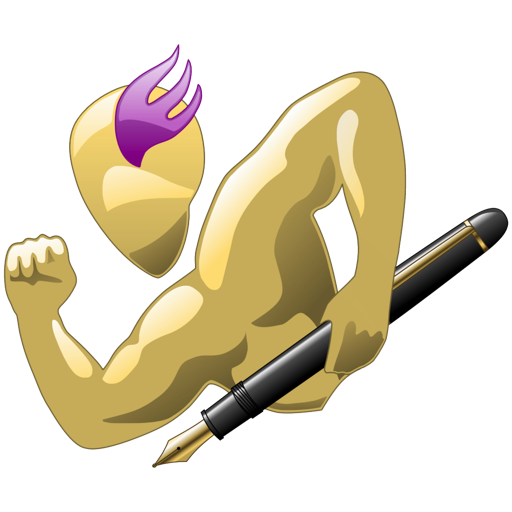 - incorrectly apply the options "keep with next paragraph" and "keep paragraph together" to most text. - Full Screen settings should not be restored when reopening a file no longer in Full Screen mode. - Editing text in Full Screen can trigger large white rectangles to flash on screen. - Scrollbars can incorrectly remain visible after exiting Full Screen, even when set to automatically hide. - Adjusting the Full Screen gutter width slider did not trigger immediate updates. - Toolbar items could incorrectly disable all their contextual menus in Full Screen. • Fixed performance regression where files with many tables are slower to save and otherwise interact with. • Spellchecking can incorrectly mark all words as misspelled after opening the Language preferences. • Floating text boxes often don't immediately show newly added text. - The option to change the runtime localization (for menus etc) should have been disabled. All non‑English translations haven’t yet been updated for version 3.0. - The language preference to "Switch to last used font" did not always work correctly. - Old language customization files could incorrectly revert language settings every time the app is launched. - Adjusting language preferences and then immediately quitting the app could fail to save the new settings. - Removed vestiges of the outdated Portuguese localization, which triggered crashes at launch if activated. 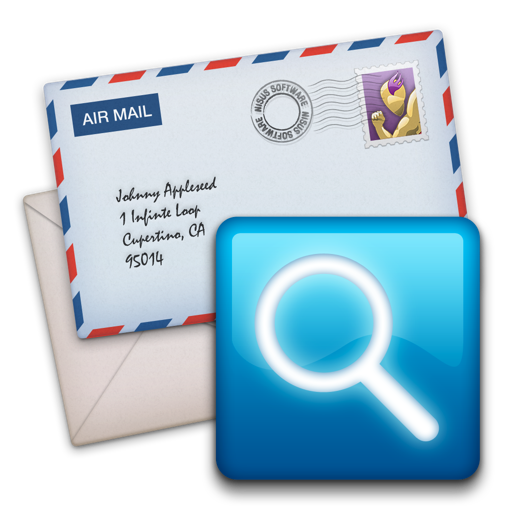 • App activation could incorrectly create an Untitled window, even if an existing document was already open. - Also should not restore empty Untitled documents when relaunching the app. • Section endnotes are not always visible in Page View. • Inserting an endnote in Page View doesn't always scroll it into view. • Print paper scaling no longer works correctly. (Full release notes are available via the Help menu, or our website).